Access the best and often exclusive healthcare IT consulting jobs in the industry . 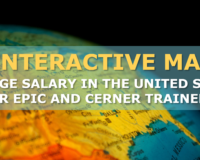 Looking for an Epic, Cerner, or Meditech consulting job? We have an answer. healthcare IT that matches your skills and experience.